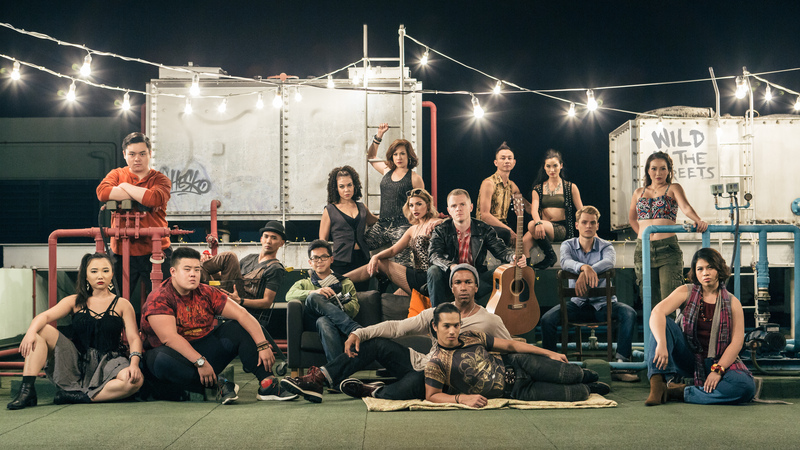 To close its 2016 season, Pangdemonium has gathered a star-studded cast to celebrate the 20th Anniversary of the hit musical, Rent. I conducted an email interview with director Tracie Pang to find out more about Pangdemonium’s take on the show. Rent is the final show of Pangdemonium’s “Season of Love.” Why was the theme of love chosen for this year and why Rent? Coming out of 2015 where the refugee crisis really started to make the news, the pieces we were drawn to had love centrally and squarely in their themes in one way or another. Rent ended up just being a natural end to the season plus with it being the 20th anniversary of Rent the timing was fitting. It was a seminal piece of theatre and a game changer when it opened. There is also a whole generation of people here who haven’t seen it as they were too young given that it has always been given a R18 rating in Singapore. Caroline Framke from Vox.com thinks that Rent feels outdated because it “leans so heavily on grunge and generic alt-rock.” Do you agree? Apart from the message, is there anything in particular about this staging that would appeal to today’s audience? You could say that about any musical over 20 years old, should we not produce West Side Story or Singing in the Rain because it is dated? I would beg to offer a different perspective. This musical cannot be transported out of the time and place that it was set; it is indicative of the time and struggles of what was happening in ’89/90. It is in the music, the instrumentation and the story line. What is important is to look at how it had an influence on musicals that came after it with small bands, scaled down sets and gritty storylines. Without Rent, musicals would not have progressed to the likes of Next to Normal where the rock edge in the music helps to connect to our emotions, our modern stories, and today’s generation in a more immediate and instinctual way. The story line in Rent is still very important and so its relevance is still key — diverse communities coming together in love through adversity. Accepting others who are different from ourselves and offering help and love. HIV may not be the death sentence that it was 20 years ago. We have treatments that work now, but it has not been eradicated and once you have it—you will live with it and have to medicate for the rest of your life. Pangdemonium is known for engaging with community partners as part of its research and advocacy efforts. What are some surprising facts about AIDS that you learnt in the course of preparing for the show? Many of today’s youth are not aware of AIDS and HIV, the awareness of the virus has died down and we hope that this musical will go some way to reminding us that our new generations need to be kept aware. In the last 35 years, more than 70 million people have been infected with the HIV virus, and about 35 million people have died of HIV-related illnesses. Globally, approximately 36.7 million people are still living with HIV today. Singapore is not immune to this disease and we have met young people living with the disease on our journey with Rent. With this in mind, we will be having a post-show dialogue with a representative from Action for Aids and Oogachaga for two shows on Wednesday nights (they have been given an advisory 16 rating so that teens and families can attend the show). If you could change one aspect of our society in an instant, what would it be? Fear. Fear of foreigners, fear of strangers, fear of people who are from a different ethnic or religious group. To be more accepting, welcoming and loving. As the good book says, love thy neighbour! RENT runs from 7-23 October 2016 at the Drama Centre Theatre. Tickets from Sistic. ← [Listing] Rent by Pangdemonium!